MOTIVATED Sellers!! Built in 1980 and ready to pass on to the next person. Steve is retiring but his book of business and building can be yours to continue as a muffler shop OR just use the setup for anything you want commercial for business on Rogue River Hwy. Lots of Traffic and ideally located Steve's Muffler is setup with Two bays on main floor with Bathroom and Office/Storage and then below is another Two Bays, lifts and Ample parking out back. So Ideally this could be split into two businesses. All inventory, equipment will stay and some of the machinery is newer and worth money. One hydraulic lift on side of building for RV repair. 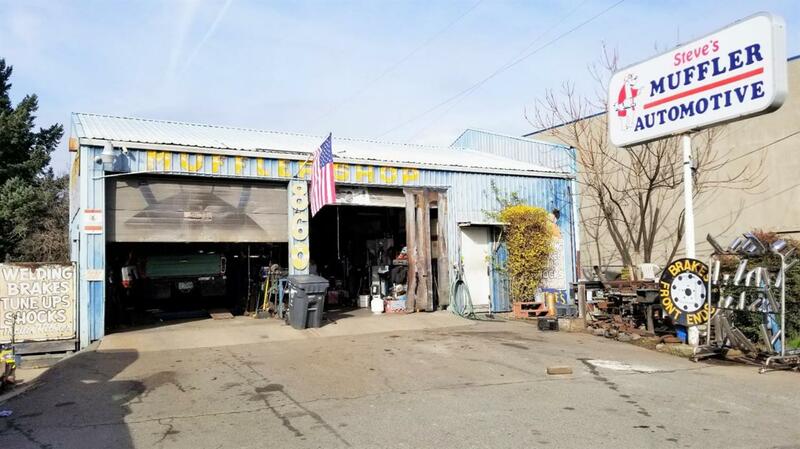 People have been coming to this location since 1980 to get their cars fixed and this whole entire operation can be yours with Real Estate included and training if need be from seller. Don't delay, business opportunity strikes! All information deemed accurate but not guaranteed and subject to change at any time.